MAPSOrtho is the family name of our orthography processing package; a set of specialized modules tuned for applications such as information retrieval, document clustering, data mining, and Machine Translation. Output samples are available for download as PDF for your convenience, you are also invited to send us your sample input for processing free of charge, we accept limited size samples in any form or encoding. Arabic text is written unvocalized except for classical themes and Quranic text, this is a major stumbling stone for any NLP system. Kalmasoft diacritizing module is developed to accomplish full and semi-vocalization process of the raw input text. A screenshot of the MAPSOrtho (Diacritization) interface, you can view the more information and sample output. View technical specifications, move to this system's page for details, or download evaluation copy. Arabic noun declension is the process of inflecting nouns to their sub-grammatical categories, MAPS inflects every single Arabic noun to more than dozen of categories including the classes e.g. Verbal Noun, Instrumental Noun, Active Participle, Passive Participle, Locative Noun, Numerative Noun and three cases Accusative, Nominative, and Genitive. A screenshot of the MAPSOrtho Lite (Inflection) interface, you can view the more information and sample output. Our full-fledged morphological analyzer utilizes a light stemmer which does not only affix removal but also root extraction, it does this using complicated techniques to deal with all forms of the assimilated, hollow, and defect tokens, the morphological analyzer does the pattern recognition necessary to complete the task and returns the correct form of the root or stem. 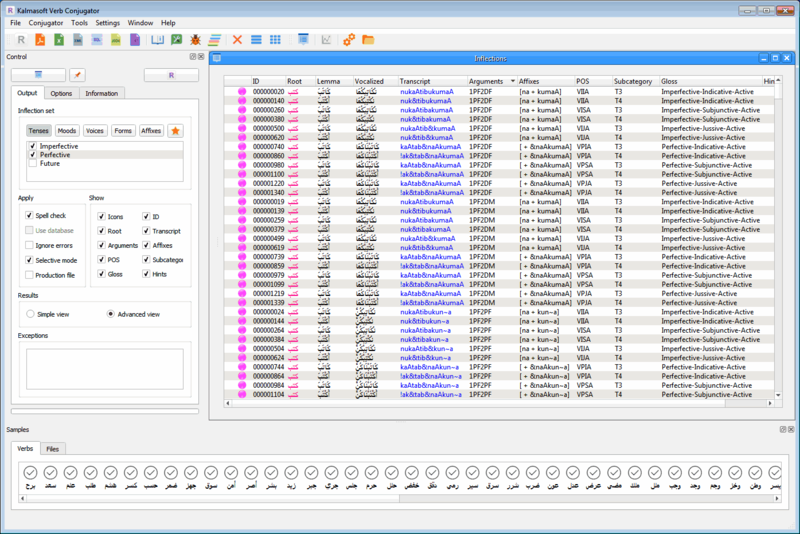 A screenshot of the MAPSOrtho Lite (Stemmer) interface, you can view the more information and sample output. The Conjugation Generator is a full-form lexical production module built on a root-based algorithm; a root like [ksr] "to break" may be seeded into the module to yield roughly 30,000 conjugations this is theoretically true for any other triconsonantal sound root. 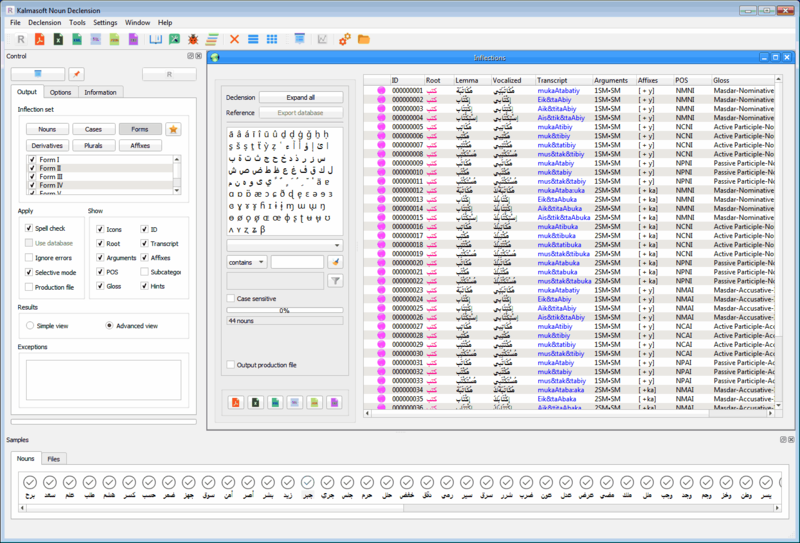 A screenshot of the MAPSOrtho Lite (Conjugator) interface, you can view the more information and sample output. == This system is under development ==.